Combining Pilates and Yoga for Balance will re-educate your body so you can tap into the deepest sources of your body’s natural intelligence. As you learn to move correctly, you’ll experience the benefits of reduced stress and enhanced awareness in every facet of your daily life! Founder and Director of Center of Balance, Tom McCook is a nationally-recognized fitness and movement specialist with over 20 years experience. 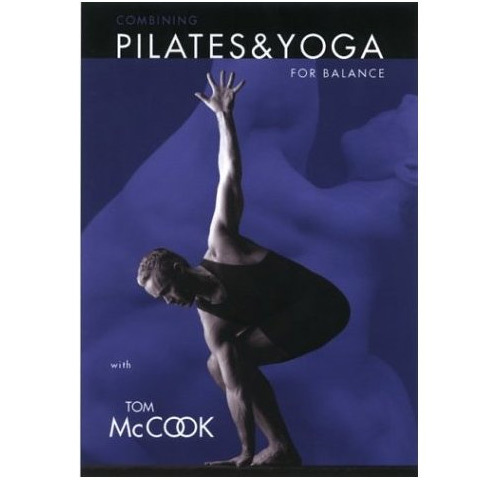 Tom is certified in Pilates and conducts teacher training courses for PhysicalMind Institute. Through years of study and a strong commitment to daily practice, Tom now specializes in a range of training disciplines including Pilates, Yoga, ArtForm, Resistance Stretching, Myofascial Release, Craniosacral Therapy and Bodywork. Tom designs programs for health and overall performance for working professionals, people recovering from injuries, and athletes, including Olympic Gold Medal swimmers Natalie Coughlin, Jenny Thompson and Misty Hyman. He conducts workshops and retreats in the U.S. as well as abroad.